Russian Dragoon Command. Three mounted figures per pack. 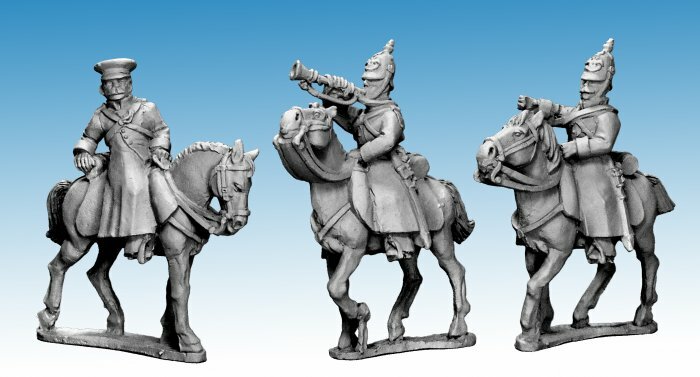 28mm sized figures, made of metal and supplied unpainted. The standard bearer figure requires you to provide a flag pole and flag to complete the model.